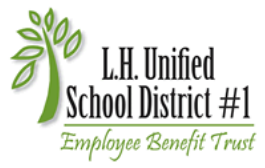 The Lake Havasu Unified Employee Benefit Trust oversees employee benefits such as, but not limited or restricted to Life, Accidental Death and Dismemberment, Weekly Income, Long Term Disability, Basic or Major Medical coverages for accidents or sicknesses, dental, vision and any other benefits as determined by the Trustees for employees and their dependent families; whether through self-funded or insured programs or both. The Trustees shall have the power to enter into contracts, procure insurance policies, or provide such benefits through self-funding, and to place into effect and maintain the desirable Schedule of Benefits. Employee Benefit Trust meetings are open to the public. View the EBT Meeting Calendar for upcoming meetings. You can also view past meeting documents and videos.